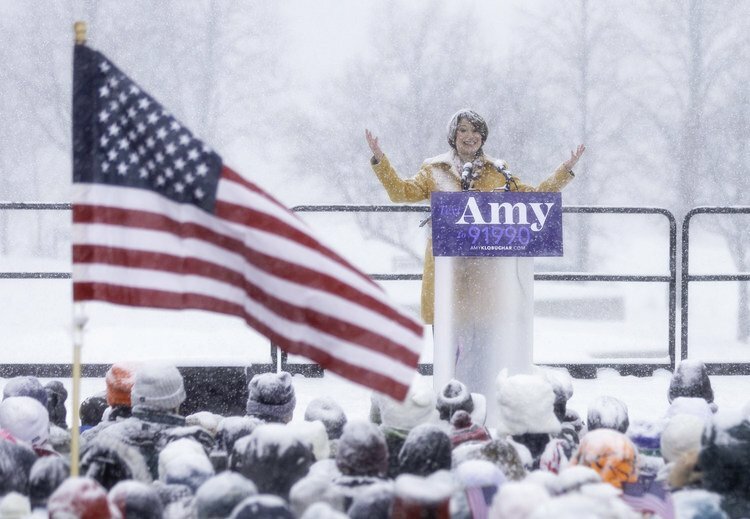 Klobuchar announces her candidacy in a SNOW STORM! Promises green energy! Wonder what green energy she will have her home state rely on to heat their homes in a snow storm??? She seemed to be saying solar would work in California but not the east coast. I hope that klobuchar and the other rabid anti-gun leftists are pilloried for it. 3. She seemed to be saying solar would work in California but not the east coast. She sounded pretty stupid though and a spokeswoman for 'Nat' Gas. there were structures that could protect people from the elements. Maybe that's what the idiot meant when she said, "we need to invent things that haven't been invented yet." 5. I hope that klobuchar and the other rabid anti-gun leftists are pilloried for it.